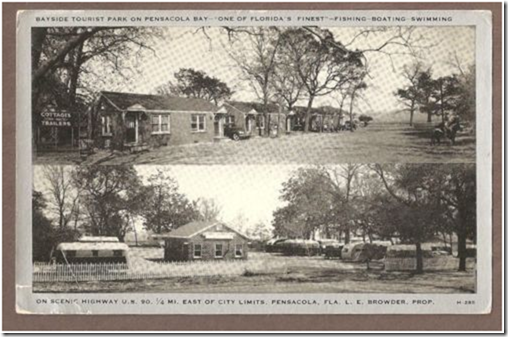 Rich in history, the Scenic Bluffs provide a wonderful sample of the Pensacola area’s past. 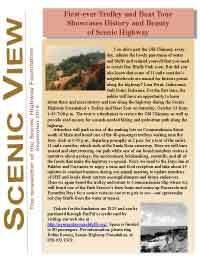 Read about the Scenic Highway as well as the history of the bluffs. 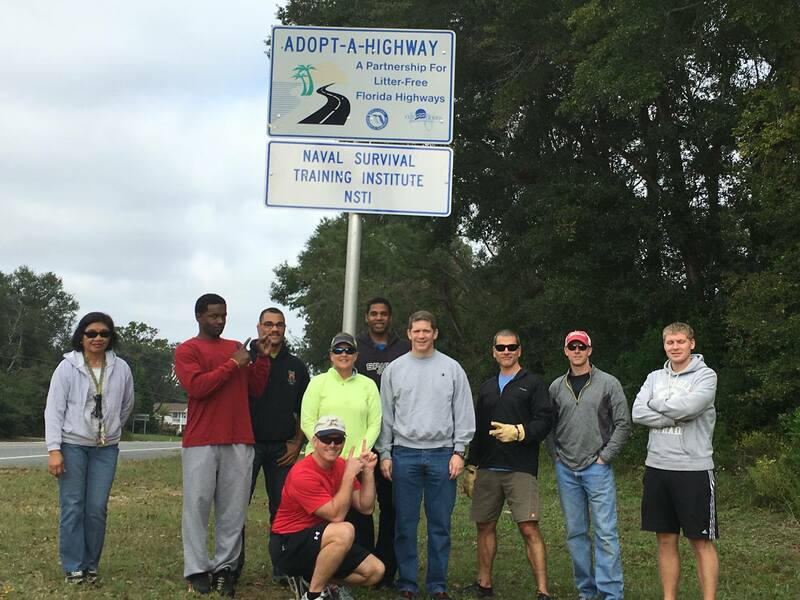 With an abundance of native and invasive species, the Scenic Highway Corridor offers an assortment of specimens to explore. The Pensacola Scenic Bluffs corridor has abundant recreational opportunities in the form of boating, fishing, picnicking, hiking, bicycling, bird watching, walking and of course shopping and eating. 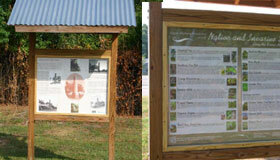 Members and friends of Scenic Highway, PLEASE VOTE for the idgroup for their Brand on Us grant. The winner will receive more than $100,000 worth of marketing, branding, and other valuable services. The number of votes each applicant receives is a factor in determining the winner. Please don’t wait. Vote at https://www.surveymonkey.com/r/DCGRDHC Voting ends November 21. 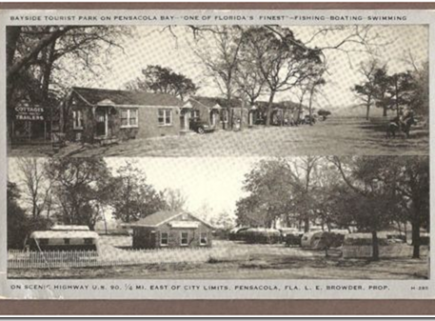 Dr. Brian Rucker presentation on “1916 Pensacola: A City in Transition”. This presentation provides a landscape design created by three Michigan University Master Degree Candidates for Scenic Highway. 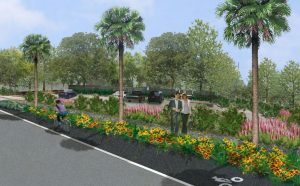 Created by Olivia Garnett, Helen Graham, and Mary Hejna in April 2012, at the University of Michigan, School of Natural Resources and Environment, this presentation provides information on the redesign of the Pensacola Scenic Bluffs Highway. 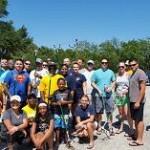 Please join OceanHourFL, Earth Ethics Inc., The Pensacola Scenic Highway Foundation, University of Florida Sea Grant Program, Keep Pensacola Beautiful and the City of Pensacola every 2nd Saturday of the month at Chimney Park (Scenic Highway at Langley) or Bay Bluffs Park (Scenic Highway at Summit) from 9:00 a.m. to 10:00 a.m. for our monthly cleanups. Sign In is at 8:45 a.m. at either location. We really need folks at Chimney Park. Bay Bluffs is in a maintenance mode where Chimney Park is in a need mode. All supplies provided. 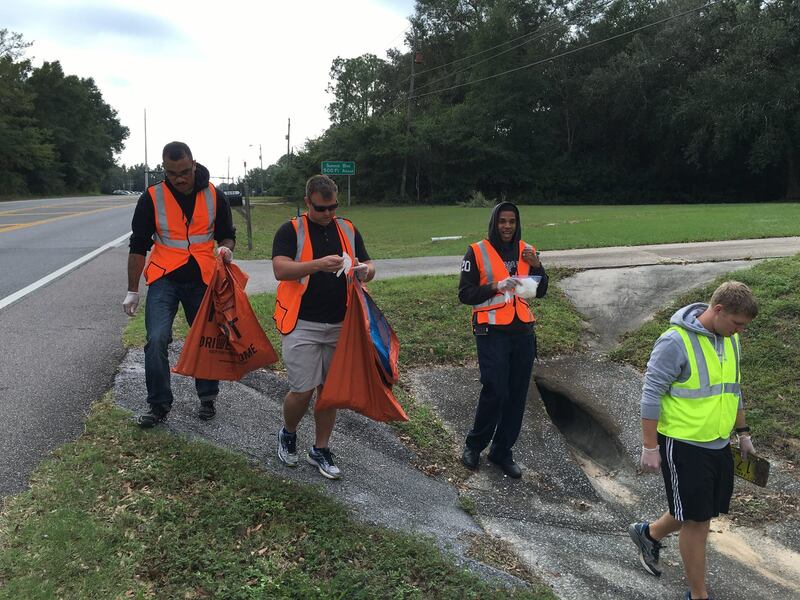 For more information, contact Paul Herrald at 207-9326 and leave a message or e-mail Volunteer@OceanHourFL.com or BayBluffsCleanUp@gmail.com. 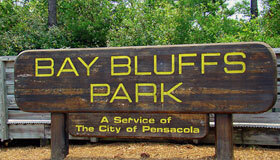 Explore the Pensacola Scenic Bluffs area with our Interactive Map. The Pensacola Scenic Bluffs Highway is approximately eleven (11) miles in length from its southern terminus at the Bayou Texar bridge (Cervantes Street) to its northern terminus at the north end of the U.S. Highway 90 bridge over the Escambia River. The corridor was defined in this manner because these two termini define natural inlets affected by the Escambia Bay winds and tides, and because they both contain scenic and natural resources appropriate as entrance ways to the resources located within the Scenic Highway corridor. 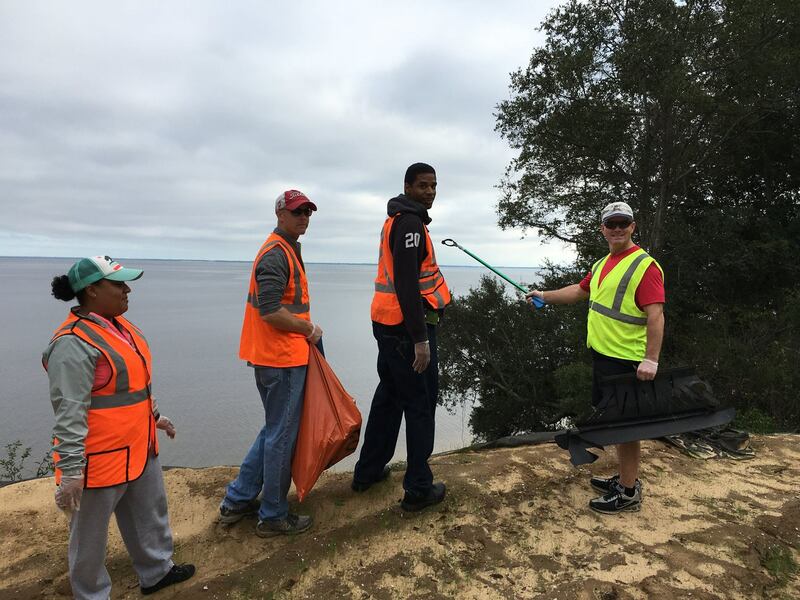 Access to the resources along the corridor is provided by a boat ramp at the Bayou Texar bridge, two paved parking lots at the Bay Bluffs Park connecting the boardwalks leading down the bluffs to Escambia Bay and a parking area adjacent to the Chimney at Langley Boulevard. As your trip begins on Scenic Highway by traveling over the Bayou Texar Bridge , you are surrounded by old oaks and magnolias upon entering the City of Pensacola Bayou Texar Park. Enjoy a close view of the bayou by walking out on the dock. Back on the highway, the quaint cottages and a variety of restaurants and shops serve as an open invitation to stop and look around East Pensacola Heights. As the commercial center slides by, you round a curve and break into the first scenic vistas of beautiful Escambia Bay from atop high bluffs unique in all of Florida. The expansive views of the Bay are punctuated by picturesque stands of long-leaf pine, live oak and other indigenous trees and undergrowth. Stopping at the 32 – acre Bay Bluffs Park will give you a chance to see the cliffs at close range. This unique, enchanting park offers numerous wooden boardwalks leading visitors through dense forest, under beautiful canopies of oaks and pine, to the warm waters of Escambia Bay. The large bluffs of red clay, once used to make bricks, line the beach and tint the sand a soft pink hue. Shortly after leaving Bay Bluffs Park you descend to sea level and enter another world of “Epic Wetland” which support a diversity of flora and fauna. 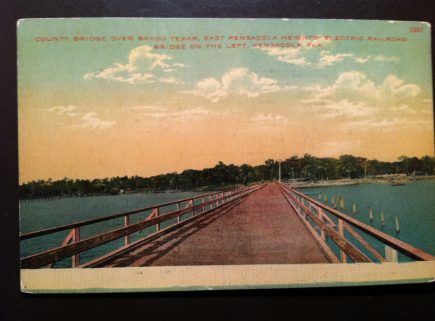 Running along beside you on the water side is the railroad tracks that still have the telegraph poles in place. Just after the wetland is “Old Chimney Park”. 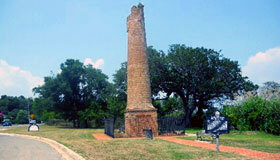 On this site are the remains of a 19th century chimney that served a steam powered saw mill during the timber boom. The trip continues upward again along forested wetlands and old growth long-leaf pines amongst large lot home sites with the homes carefully tucked among the trees. As you approach I-10 stop at the Dairy Queen, have a drink or ice cream and be sure to see the spectacular view of Escambia Bay. This area is called Stony Point. It is said on a clear day in the winter, when the tide is low, rock formations may be seen under the water. Continuing across the overpass bridge you descend to sea level again. The G.E. plant is on the upland side. However, you have a view of the train bridge to Santa Rosa County. In 1882, the first railroad bridge to span the Escambia Bay was erected, and the site is still serving as the railroad route across the Bay. Donate to help preserve the bluffs. 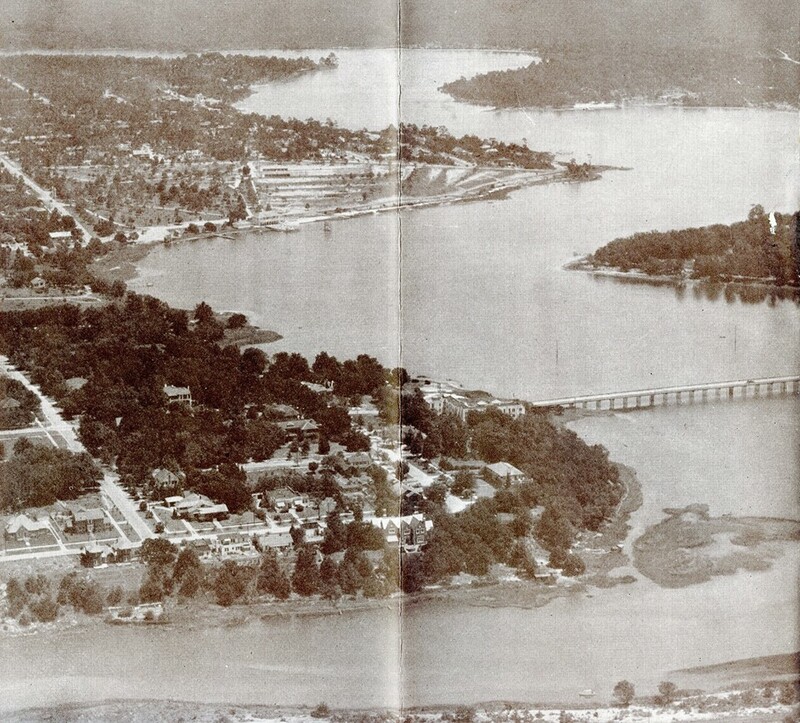 Your donation helps preserve history, provide education, safety and much more. As you again travel upward again, look for the Lora Point sign on your left. 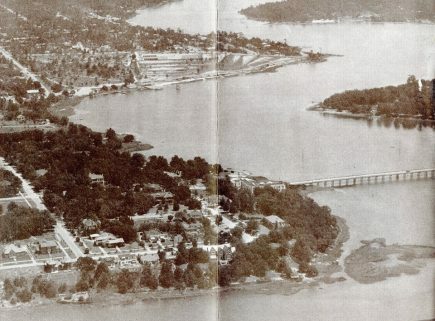 The point below the roadway is the site of the first bridge to span Escambia Bay in 1882. Your trip is ending when the scene changes completely, the trees give way to the river of sawgrass of the tidal wetlands at the head of the bay.